When deciding how to secure a Web Api there are a few choices available, for example you can choose to use JWT tokens or with a little bit less effort (but with other trade-offs), cookies. If you decide to go with cookies and if your web api is consumed through a web application (e.g. Angular) it will be vulnerable to cross-site request forgery attacks (frequently referred to as CSRF or XSRF). You can find the sample project for this blog post here in github. To understand how CSRF works you need to understand how browsers handle cookies. Every time you visit a website (e.g. mywebsite.com) and that website sends a response with a header named Set-Cookie a cookie is created. An example of a header that creates a cookie named myCookie with the value myCookieValue is: Set-Header: myCookie=myCookieValue. Usually cookies are stored in a file on disk. This actually depends on the browser you are using but that’s essentially all they are. That is also the reason why you can log in to the same website with two different accounts if you use different browsers. Your “identity” is stored in a cookie and each browser can hold a different one for the same website. Also, a cookie is specific to one website. That means that a cookie for example.com is not valid for foo.com. This boils down to the browser exclusively sending cookies to example.com that were created in a response to a request to example.com. The way the browser “sends” the cookies is by including a header named Cookie whenever there is a request to the website from which the cookie originated. For example if the browser has a cookie for example.com and you have a bookmark for example.com/homepage and you click it, the browser will automatically include a cookie header with the cookie value (e.g. : Cookie: myCookie=myValue). There are exceptions to this namely the use of the SameSite policy. However this feature is still “experimental” and for the use case of allowing your web api to be potentially used by anyone, using a SameSite policy would not work. The abuse of this mechanism (i.e. the browser sending the cookies automatically) is what CSRF exploits. Just by visiting evilwebsite.com you’re logged out of example.com. This works because when the browser parses the html for evilwebsite.com and finds the img tag, it will perform a request to example.com/logout which will, for all intents and purposes, look like any other authenticated request from the point of view of example.com. If you have a very popular website, or if your attacker has a way to target users of your website s/he can try to lure your users to a malicious website that can then perform requests to example.com as you. Imagine if your bank website had this vulnerability. 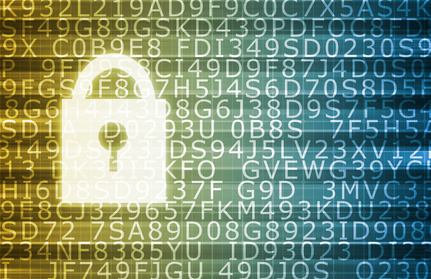 A malicious website could trigger transfers of money from your account to another account. We’ve already seen that the browser will send the cookies it has for a website automatically. If any of those cookies is used to identify the user that cookie is usually set as an httponly cookie. It’s important that cookies that identify the user are httponly so that in case of a Cross-Site Scripting vulnerability (XSS) the attacker won’t be able to steal the auth cookie. When handling the request in the server you check if the cookie and the header values are the same. If they aren’t, or they are missing, the request is rejected. This breaks things from the point of view of the attacker. In a nutshell that’s how CSRF is mitigated. The out of the box functionality provided in ASP.NET Core for mitigating CSRF (named anti forgery) is geared towards Razor views. You’ve probably seen it in the form of the @Html.AntiforgeryToken() html helper in previous versions of MVC (pre Core 2.0). When you use the @Html.AntiforgeryToken() html helper in a Razor view a cookie is created alongside a hidden form field named __RequestVerificationToken. The value of both must match or else the request is rejected. Thankfully the anti forgery features in ASP.NET Core are configurable enough that we can use them for a Web Api. The first thing we have to do is to register the anti forgery dependencies and configure it so that instead of expecting a form field on POST requests, it expects a header. We can pick a name for our header, for example X-XSRF-TOKEN. Specifying a HeaderName when configuring AntiForgery causes the anti forgery validation to use the header (instead of a form field named __RequestVerificationToken) in the verification process. You can also specify the cookie name you wish to use (e.g. options.Cookie.Name="MyAntiForgeryCookieName"). This isn’t the cookie we’ll access through JavasScript though, so there’s no real advantage in doing this. Now, for the part of actually generating the anti forgery cookies I recommend doing that in a controller action that you call immediately after a successful login. This might seem odd, however for the sake of brevity I’ll defer the reasoning behind this choice for later in this post. First, we grab hold of the IAntiforgery service as a dependency and we use its GetAndStoreTokens method to actually generate the tokens/cookie values. The GetAndStoreTokens method not only creates the cookie and the request tokens, it modifies the response so that the Set-Cookie statement is added to it (that’s why it needs HttpContext as an argument). The Cookie and Request tokens are the terms used to refer to the two values that must match. The Cookie token is the one stored in the cookie and the Request token is either sent in a hidden form field __RequestVerificationToken or in a header value like we will do shortly. You might be wondering why we need a Cookie and Request token if we only need one value to match (the value form the cookie and the value from the header) to mitigate CSRF. The reason for this is that the RequestToken contains the logged in username (HttpContext.User.Identity.Name) as well as a random value that matches the value stored in the cookie. Here’s the discussion around this on github. This is also the reason why I recommend using Antiforgery this way, in a separate request after the user logs in. If we were to generate the anti forgery tokens in the response to the login request, the Request token that would be created would not contain a Username (HttpContext.User.Identity.Name isn’t set yet at that time). Any subsequent requests that requires anti forgery validation would fail. That’s because even though the value in both anti forgery tokens would match, the username in the request token (empty) would not match HttpContext.User.Identity.Name. One final note about this controller action. It’s annotated with the IgnoreAntiforgeryToken attribute. This is one of the three attributes available in ASP.NET Core for dealing with CSRF, the other two are AutoValidateAntiforgery and ValidateAntiforgery. ValidateAntiforgery will validate every request, whereas AutoValidateAntiforgery will only perform validation for unsafe HTTP methods (methods other than GET, HEAD, OPTIONS and TRACE). These last two attributes are usually applied as global filters. In this case I recommend that you use the ValidateAntiforgery attribute since we want all requests to be validated. The reason for this is that if we are relying on Cookies as our means to authenticate users, and we want consumers of our api to potentially come form any origin, we need a CORS configuration that is very permissive (see Secure an ASP.NET Core Web Api using Cookies). With such a permissive configuration it is possible to forge GET requests from another domain and steal sensitive information, therefore they should also be checked for CSRF. We need to annotate some controller actions with IgnoreAntiforgeryToken. Namely the one that handles the user’s login, the one we’ve seen above that handles the anti forgery tokens’ generation and any others that you might want to make available without requiring the user being authenticated. In the client we need to make a request to the endpoint where the anti forgery tokens are generated after the user has logged in successfully. This just performs two http request, one POST to api/account/login with the user’s credentials and a GET request to /api/antiforgery after the first request finishes successfuly. We also need to read the cookie that is non-httponly (XSRF-REQUEST-TOKEN) and put it in a header named X-XSRF-TOKEN (that’s the name we used when configuring Antiforgery in Startup.cs) when the client performs a request. We could do that manually for every request, but that wouldn’t be very practical. Thankfully there are ways to have it be done automatically for every request (the beforeSend function in jQuery’s $.ajax for example). That's it, your api is now safe form CSRF attacks. If you had some issues with the example or have questions please write them down in the comments and I'll get back to you as soon as I can. That’s not the case. You can do authentication and authorization in a Web Api using cookies the same way you would for a normal web application, and doing so has the added advantage that cookies are easier to setup than for example JWT tokens. There are just a few things you need to be aware. This blog post is about how you can secure an ASP.NET Core Web Api using cookies (if you are looking for how to secure a Web Api using JWT tokens check out Secure a Web Api in ASP.NET Core and Refresh Tokens in ASP.NET Core Web Api). and the Web Api and the Angular application are running in different domains (most common scenario) using cookies will not work without some extra configuration. This might be the reason why using JWT tokens seems to be what people default to. If you try to setup your authentication the same way you would a traditional web application (e.g. an ASP.NET MVC web app) and then perform AJAX requests for logging in and out you’ll soon discover that they seem to do nothing. Your response won’t show any error. If you inspect the response it will even have the Set-Cookie header but the cookie will seemingly be ignored by the browser. To add to the confusion you might even have CORS configured correctly for your Web Api and still see this behavior. Turns out that you have to do some work in the client as well. The next sections describe what you need to do, both in terms of the server configuration and also the client. You can find an example project here that is nothing more than the ASP.NET default template with authentication set to Individual User accounts stripped out of all the UI and adapted to be consumed as a Web Api. The sample project also contains an Angular application that consumes the Web Api. What you need to do server-side is to configure ASP.NET’s cookie authentication middleware and also setup CORS so that your Web Api “declares” it accepts requests from the domain where your client is hosted. Here I’m naming the cookie authentication scheme as “Cookies” (that’s AddCookie‘s first parameters). We’ll have to reference this name later when implementing the login endpoint. I’m also naming the cookie that will be created as auth_cookie (options.Cookie.Name = "auth_cookie"). If the consumer of your Web Api is a web client (for example an Angular application) you don’t have to deal with the name of the cookie. However, if you are writing a C# client using HttpClient you might need to read and store the value of the cookie manually. Having an explicit name is easier to remember than the default name, which is .AspNet. + authentication scheme name (in this case that would be .AspNet.Cookies). Regarding SameSiteMode I’m setting it to None. SameSite is used when setting the Cookie (it controls an attribute with the same name in the Set-Cookie header). It’s values are Strict and Lax. Strict means that the cookie will only be sent by the browser for requests that originate from the domain of the cookie. With this value the browser won’t even send the cookie if you have a website that has a link to yours. With Lax the browser will send the cookie for requests that originate in the cookie’s domain and cross-origin requests that don’t have side effects (i.e. will be sent with a GET but not with a POST). A cross-origin request is a request that is sent from a url different than the destination url (for most browsers even having different ports, e.g. : localhost:8080 to localhost:8081) will make a request be considered cross-origin. If you set it to SameSiteMode.None as we did, the samesite attribute isn’t included. That has the consequence of the browser sending the cookie along for all requests, which is what we want. As an aside, if you need to debug problems with cookies prefer Firefox’s developer tools to Chrome’s. Chrome will not show you the Set-Cookie header if it’s not for the domain where the request originated (checked version 67.0.3396.99). Finally, I’m redefining what happens when the authentication fails. Usually the cookie middleware produces a 302 redirect response to a login page. Since we are building a Web Api we want to send the client a 401 Unauthorized response instead. That’s what the custom OnRedirectToLogin will do. When using ASP.NET Core Identity (which is what the demo project uses) this configuration is a little bit different. You won’t have to worry about naming the cookie authentication scheme since ASP.NET Core Identity provides a default value. Also, the redefinition of what happens on the OnRedirectToLogin is a little bit different (but similar enough that it shouldn’t be a problem to understand after seeing this one). Our CORS configuration does not put any restriction on the potential clients of the Web Api. Of particular importance here is the AllowCredentials option. Without it, the browser will ignore the response to any requests that are sent with Cookies (see the Access-Control-Allow-Credentials section in MDN’s documentation on CORS). The Login and Logout actions are similar to what you would have for a normal MVC application. The only difference here is that we won’t return any content in the responses, just responses with the appropriate status code. Notice that we are referencing the “Cookies” authentication scheme we’ve defined in Startup.cs. In the demo project we rely on ASP.NET Core Identity which provides the UserManager and SignInManager classes that provide identical functionality of what is described above. There are two ways to perform AJAX requests in the browser. Using XMLHttpRequest or using the Fetch Api. Even if you are using some library or framework (e.g. jQuery or Angular) it’s one of these two that is being used. withCredentials is the flag you need to set to true so that cookies aren’t ignored when they are set by a response (Set-Cookie header) and it is also the flag that you need to have so that cookies are sent in requests. Since it’s most likely you will not be making requests with XMLHttpRequest manually I’ll abstain from including an example for it here and include instead one for jQuery, another for Angular and another with the Fetch Api. Every request needs to have the withCredentials flag. Now every subsequent request you perform with jQuery ($.get, $.post, etc) will be done with the withCredentials flag set to true. If you are using the more modern Fetch API you need to add the property credentials with value include with every request that might result in a response that creates cookies or requests for which cookie are to be sent with. To create a .Net Client you’d use HttpClient. HttpClient will take care of storing the cookie when a response sends it and it will send it for your when you perform a request. You just need to keep the HttpClient instance after you log in, which is the recommended way of doing it anyway. One thing you might want to do is to save the authentication cookie and restore it later. Imagine a scenario where your user closes your application and you want to support the user being able to return later an not having to log in. Event though this is a long post, setting up cookies in you Web Api is not that hard. You just need to keep a few things in mind. Namely, you need to make sure that your cookie is not being generated with a samesite attribute. To do this you should check the Set-Header header that comes in the login response. Do this using Firefox instead of Chrome’s developer tools. Chrome (at least the version I’m running 67.0.3396.99) does not display the Set-Cookie header if it’s for a different domain than the one from where the request was performed. The next thing you have to make sure is that you’ve configured CORS correctly. Of particular importance is making sure you have AllowsCredentials in your CORS policy. Finally, if you are running a web client, make sure you have the withCredentials flag set to true on every request or credentials: 'include' for the Fetch Api. One thing that comes to mind when using access tokens to secure a web api is what do you do when the token expires? Do you ask the user for credentials again? That’s not really a good option. This blog post is about using refresh tokens to solve this problem. Specifically in ASP.NET Core Web Apis with JWT tokens. First, is this really a big deal? Why don’t we just set a long expiration date in the access tokens? For example, a month or even a year? Because if we do that and someone manages to get hold of that token they can use it for a month, or a year. Even if you change your password. That’s because a server will trust a token if it’s signature is valid, and the only way to invalidate it is to change the key that was used to sign it, and that has the consequence of invalidating everyone else’s tokens. Not really an option then. That leads us to the idea of using refresh tokens. How does a refresh token work then? Imagine that when you get an access token you also get another one-time-use token: the refresh token. The app stores the refresh token and leaves it alone. Every time your app sends a request to the server it sends the access token in it (Authorization: Bearer TokenGoesHere) so that the server knows who you are. There will come a time where the token will expire and the server will let you know of this somehow. When this happens your app sends the expired token and the refresh token and gets back a new token and refresh token. Rinse, repeat. If something fishy happens the refresh token can be revoked which means that when the app tries to use it to get a new access token, that request will be rejected and the user will have to enter credentials to be able to log in again. To make this last point clear, imagine that the app stores the location (e.g. Dublin, Ireland) of the request when a refresh token is created. If user can access this information, and if there’s some login from a place that the user doesn’t recognize, the user can revoke the refresh token so that when the access token expires whoever is using it won’t be able to continue to use the app. This is why it’s probably a good idea to have the access tokens be short lived (i.e be valid for a couple of minutes). If you need information on these topics individually, continue on. If you want to see all this working together, you can find a demo project here. If you want a more thorough description of how to use JWT with ASP.NET Core I recommend Secure a Web Api in ASP.NET Core. Here’s a summary. Here we are creating a new jwt token with an expiration date of 5 minutes signed using HmacSha256. The refresh tokens must be unique and it shouldn’t be possible (or it must be very hard) to guess them. It might seem that a simple GUID satisfies this criteria. Unfortunately the process of generating GUIDs is not random. That means that given a few guids you can easily guess the next one. Here we are generating a 32 byte long random number and converting it to base64 so that we can use it as a string. There are no guidelines regarding the length other than it should lead to an unique and hard to guess token. I picked 32 but even 16 should be ok.
We will need to generate refresh tokens when we first generate a JWT token and when we “refresh” an expired token. Every time we generate a new refresh token we should save in a way that it’s linked to the user for which the access token was issued. The simplest version of this is just to have an extra column for the refresh token in the user’s table. This has the consequence of only allowing the user to be logged-in in one location (there’s only 1 refresh token valid per user at a time). Alternatively, you can maintain several refresh tokens per user and save the geographical location, time, etc from the request that originated them so that you can provide the user with activity reports. Also, it is probably a good idea to make the refresh tokens expire, for example after a few days (you’d have to save an expiration date together with the refresh token). One thing you must not forget to do is to remove a refresh token when it is used in a refresh operation so that it cannot be used more than once. To get a new access token from an expired one we need to be able to access the claims inside the token even though the token is expired. When you use the ASP.NET Core authentication middleware for authenticating the user using JWT it will return a 401 response to an expired token. We need to create a controller action that allows anonymous users and that takes the JWT and refresh tokens. In that controller action we need to manually validate the expired access token (there’s an option to ignore the token lifetime) and extract all the information about the user contained in it. We can then use the user information to retrieve the stored refresh token. We can then compare the stored refresh token with the one that was sent in the request. If all is good we create new JWT and refresh tokens, save the new refresh token, discard the old and send the new JWT and refresh tokens to the client. The noteworthy parts in the above snippet are that we are using ValidateLifeTime = false in the TokenValidationParameters so that the expired token is considered valid. Also, we are checking that the algorithm used to sign the token is the one we expect (HmacSha256 in this example). The reason for this is that in theory someone could create a JWT token and set the signing algorithm to “none”. The JWT token would be valid (even if unsigned). This way using a valid refresh token it would be possible to exchange a fake token for a real JWT token. There are a few assumptions in the snippet above. There’s the retrieving, saving and deleting that I’ve omitted, and also there’s the assumption that there’s only one refresh token per user which is the simplest scenario. We need to configure ASP.NET Core’s middleware pipeline so that if a request comes in with a valid Authorization: Bearer JWT_TOKEN header the user is “signed in”. If you want a more in-depth discussion about how to setup JWT in particular in ASP.NET Core have a look at Secure a Web Api in ASP.NET Core. Of note in the snippet above is the handling of the OnAuthenticationFailed event. It will add a Token-Expired header to the response when a request comes in with an expired token. The client can use this information to decide to use the refresh token. However, we can just have the client try to use the refresh token when it gets a 401 response. We’ll rely on the Token-Expired header being in the response for the rest of this blog post. The goal here is to build an api client that can realize when a token has expired and take the appropriate actions to get a new token, and do all of this transparently. When a request fails because of an expired access token, a new request should be sent to a refresh endpoint with the access and refresh tokens. After that request completes and the client gets the new tokens, the original request should be repeated. One thing to note here is the 401 that shows up in red in the console. That happens when the request fails because of the expired token. Checking the expiration date feels convoluted so I don’t recommend doing it (also dealing with timezones is probably a problem). I decided to mention this because it’s something that is interesting to know and that makes it very clear that what you put in a JWT token is not secret, it just can’t be tampered with without making the token invalid. Hope you’ve found this post interesting. If so drop a line in the comments. The Angular CLI provides a way to develop front-end applications using angular that hides a lot of details. For example there’s no requirement to understand how Webpack or SystemJS work. In fact, if you don’t know a little bit about Webpack, which is what is used to build the latest version of Angular applications, the CLI almost looks like magic. You just need to do a ng new and ng serve --open and you have a working Angular application open in your web browser. The fact that the CLI hides all the plumbing might lead to questions like: “How do I use Angular with ASP.NET Core?”. I hope that by the end of this blog post it will be clear to you how you can answer that question (and not only with ASP.NET Core, with whichever technology you want to use your Angular app with). You see, an angular app is an app in and of itself, it does need to be “served” somehow by a web server. The default folder where those “artifacts” get copied to is yourApplicationFolder/dist. You can check it out by going to your Angular application and doing an ng build. When you do ng serve --open you are actually using a stand-alone web server (webpack-dev-server) to serve that index.html file in the dist folder. The rest of this blog post will describe several approaches that you can take for using Angular with ASP.NET Core. The first is to have ASP.NET Core serve the Angular files. The second approach is to have Angular and ASP.NET Core as different applications. There’s an example of how to achieve this using Nginx where both Angular and ASP.NET Core are served using port 80 and in IIS where each application is served from its own port. The final part of the post describes a setup that I consider ideal where you can use Angular’s ng serve during development. This post is quite long but the sections are fairly independent. If your are only interested in the last section and you are using Windows I recommend also reading the section on how to configure Angular in IIS. It can be argued that serving an Angular application “within” ASP.NET Core is wasteful in terms of resources. In the end the Angular application is just a set of static files, there’s no need to have the request for those files go through the ASP.NET Core middleware pipeline. There might be some good reasons for doing it though, also there’s no harm in knowing how to do it and since it seems to be a common approach, being familiar with it might be useful. One important thing to know in order to understand how we can serve an ASP.NET Core and Angular application together is to understand how a request is processed in ASP.NET Core. When you run an ASP.NET Core application your request goes through a “pipeline” of middlewares. Every time a request comes in it goes through the middlewares in the order they are defined, and then in reverse order. Every middleware has an opportunity to change the request or response two times, once before the other middlewares have been executed, and then after the other middlewares have executed. This allows for a middleware at the top of the pipeline to handle for example, a 401 response set by a middleware further down in the pipeline. An example of this are the authentication middlewares that change a 401 response to a 302 redirect to a login page. Every time a request comes in to this ASP.NET Core application it can go through at most three middlewares. First the DeveloperExceptionPage/ExceptionHandler middleware depending if the ASP.NET Core application is running in development mode or not. Then the StaticFiles middleware and then finally the Mvc middleware. The middleware that is key here is StaticFiles. 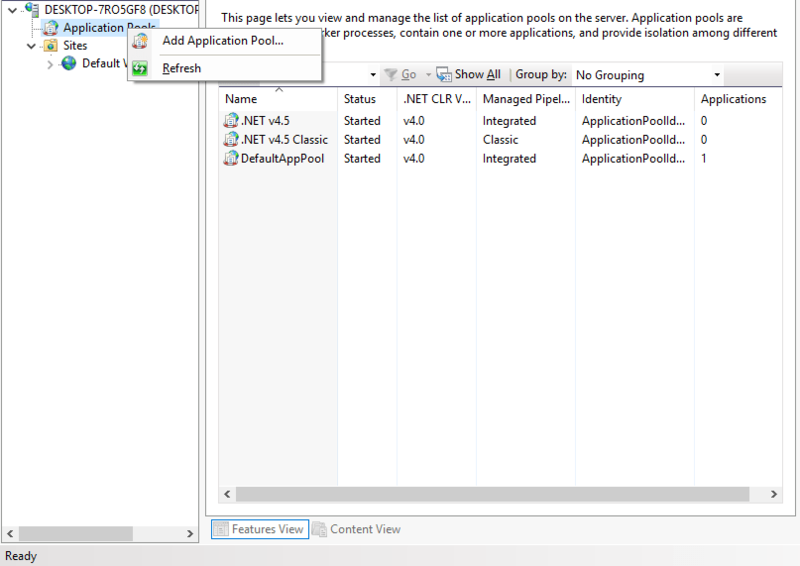 This is the middleware that serves files contained in the wwwroot folder, i.e. if a request comes in for index.html and there’s an index.html file at wwwroot/index.html then that file is sent to the client. StaticFiles middleware won’t call the middlewares below it after this (in this case it would be Mvc). You can probably already see how this could work with an Angular application. Just put it under wwwroot. That’s absolutely correct, however there’s a detail about StaticFiles that is important to know. StaticFiles won’t try to do any guesses for you, i.e. if your request is for /, StaticFiles won’t look for /index.html. It will just assume that this request isn’t supposed to be handled by it and it will call the next middleware in the pipeline, in this case Mvc. DefaultFiles will cause cause StaticFiles to look for index.html if the url ends with /. Now the only thing left to do is to configure your Angular CLI to compile to your ASP.NET Core application’s wwwroot folder. Change it from “dist” to the path of your ASP.NET Core’s wwwroot folder. Run ng build in your Angular application and now if you run your ASP.NET Core web application you should see your Angular application in the browser. A nice development workflow is to run the Angular CLI build in watch mode: In a console window do ng build --watch or ng build -w if you want to save a few key strokes, and leave it running. Now every time you make a change in your Angular application you can just refresh the browser and see the change (you also need to have your ASP.NET Core application running). There is one thing missing from this approach, though. Deep-linking support, i.e. if your Angular application uses routing and you send a user a url with a valid Angular route (e.g http://yourapplication.com/products/5) the receiving user won’t be able to open it. Trying to get to that route will result in a 404 Not Found response. That’s because the request will go all the way through your ASP.NET Core application’s pipeline and when it reaches the MVC middleware it won’t know what to do with it and will set the response’s status code to 404 Page Not Found. That fixes deep links but introduces a new problem. What if your web api (that you’ve implemented in your ASP.NET Core application) needs to send a 404 response. That’s something more than reasonable to do. Instead of a 404, the service call will receive a 200 response with index.html. Nginx is a web server that can act as a reverse proxy for ASP.NET Core applications and which is also very good at serving static content. This is how a typical Nginx configuration file looks like. If you are not familiar with Nginx and ASP.NET Core I recommend my blog post: HTTPS in ASP.NET Core from Scratch. It has a section with instructions on how to install and setup websites using Nginx. This configuration allows us to have both the Angular and ASP.NET Core application on port 80. Let’s look at the important parts in it. The listen 80 statement establishes that Nginx will respond to requests coming in on port 80. The location blocks are where we are going to define how our two applications will be served (Angular and ASP.NET). Each time a request comes in, Nginx will look at the URL and try to find the location block that best matches it. In this case the location blocks urls act like a “prefix match”, i.e., the first block will match every URL (every url that starts with a /). The second location block matches URLs that start with /api/. Nginx picks the most “specific” location block, so even though a request for /api/users would match both location blocks, since the second one (/api/) is more specific, it will be the one that would be used to handle the request. root /pathToYourAngularApplication/dist sets the path where static content will be looked for as the location where your compiled Angular application files are (dist is the CLI’s default output folder). index index.html specifies which file should be served for URLs that end in /. try_files $uri $uri/ /index.html can be read this way: check if there’s a file that matches the normalized URL (e.g. http://www.yourwebsite.com/assets/image.jpg -> /assets/image.jpg), if that file does not exist try the normalized URL plus a / (e.g. http://www.yourwebsite.com/documents -> /documents/ -> /documents/index.html because of the index rule). If all of that fails serve the file /index.html. Serving /index.html if no match is found is what enables us to use deep linking. For example a URL such as http://www.yourwebsite.com/documents with no math in the file system will be served with the Angular application’s index.html. Index.html will load all the necessary files for the Angular application to run, specifically the routing module. The routing module will then look at the url, and according to the routes defined in the angular app will decide which component to load. Finally, the last location block. It instructs Nginx to forward the requests that start with /api/ to a webserver that is listening on port 5000 on localhost. That will be your ASP.NET Core’s application. One note about the Nginx’s syntax for proxy_pass. It matters a lot if the URL for the application has a / at the end or not. The url in proxy_pass is treated differently if it has what is described in Nginx’s documentation as a “optional URI” (optional URI isn’t a great name, since in the end a URL is a URI). An example of a URL with an optional URI is: http://localhost:5000/optionalURI/. 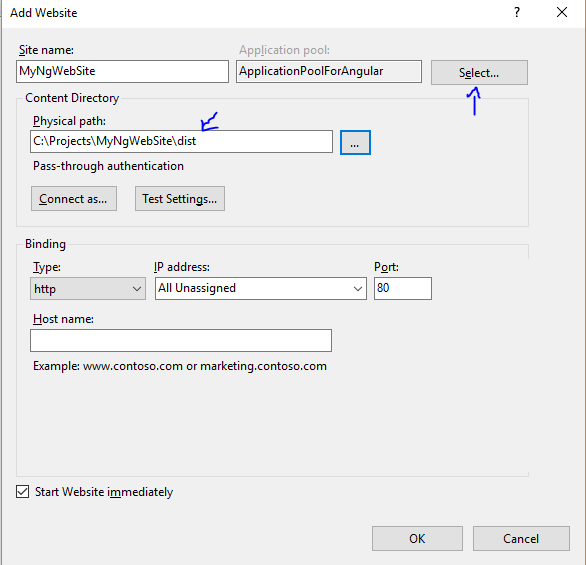 If the location’s path is /api/, then a request for http://yourwebsite.com/api/users will be forwarded to your ASP.NET Core’s application as http://localhost:5000/optionalURI/users. That’s why not adding the / at the end in proxy_pass is so important, because if you do (e.g. : proxy_pass http://localhost:5000/;) it falls into the “optional URI” category (it will be interpreted as an empty optional URI), and a request for http://yourwebsite.com/api/users will be seen in your ASP.NET Core’s application as a request for http://localhost:5000/users. If you don’t add the / at the end (e.g. : proxy_pass http://localhost:5000;) then a request for http://yourwebsite.com/api/users will be seen in the ASP.NET Core application as a request for http://localhost:5000/api/users which is probably what you want. If you need a more complete example that explains how you can make this work outside a development-time scenario (i.e. have your ASP.NET Core application auto start and remain online even if there’s an exception) check out HTTPS in ASP.NET Core from Scratch where there’s an example describing how you can use Supervisor to keep the ASP.NET application running even in the event of errors (by auto restarting it). With IIS it becomes very cumbersome to have a configuration similar to what we can do with Nginx where both the Angular and ASP.NET Core applications are served on port 80. To understand why it makes it easier if we understand the IIS concepts of Website and Application. When you create a website you define (among other settings) the port (e.g. 80) where it will be served from. A website can then have several applications “inside” it, all of which will share the website configuration (and therefore be served on the same port). We could for example put our Angular application inside the “Default Web Site” and the ASP.NET Core one as an IIS Application under it, and call it for example “api”. If the “Default Web Site” responds at http://localhost, then the ASP.NET Core application could be at http://localhost/api. Which seems to be exactly what we want. However, the requests for http://localhost/api would be seen in ASP.NET Core without the api in the url. As far as I know there’s no way to change this behavior. This means your ASP.NET Core application will behave differently when running inside IIS vs when executed directly (either in Visual Studio or with dotnet run). To make matters worse an ASP.NET Core application needs to be published (dotnet publish) for it to work in IIS. It’s not like a non-Core ASP.NET application where you can just point an IIS Application to the folder that contains the ASP.NET application’s files . So when using IIS the reasonable options are to either have ASP.NET Core serve the angular application as it was described in the first section of this article or have two separate Websites. Lets walk-though the process of creating two separate websites. First a website for the Angular project and then for ASP.NET Core. We’ll be adding a Website named MyNgWebSite on port 80. That means that if you have a “Default Web Site”, which in all likelihood you’ll have, you need to stop it or change its bindings since the default for it is port 80. The physical path should be set to where your Angular project is being compiled to, usually this is the dist folder. If you were to try to access http://localhost right now (and assuming that you stopped the “Default Web Site” or used a different port than 80) you would get a permissions error. That’s because when you create an application pool a “virtual” user is created. That user is a local user and must have permissions to access the folder that contains the files you are trying to serve. 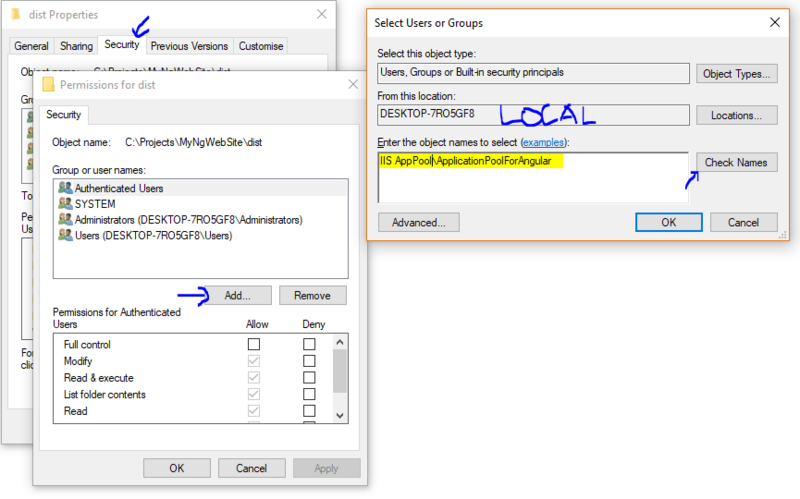 That user’s name is IIS AppPool\ApplicationPoolName, in this example it’s IIS AppPool\ApplicationPoolForAngular. We should now be able to access your Angular application if you go to http://localhost. We still need to do one more thing though. Enable deep-linking support. If you have routes in your Angular application these won’t work if someone tries to access them from “outside” the Angular app. What this means is that if navigating to http://localhost/documents is valid inside the Angular application and you send that url to someone else, when that someone else clicks the link they will be greeted with a 404 page from IIS. That’s because there is no documents folder nor index file inside it for IIS to serve. We need to tell IIS that it must serve the file index.html when someone tries to access a URL that does not exists. We are going to use the same mechanism used for having a custom 404 page, but instead of a 404 page we’ll serve the Angular application. A very quick explanation of what’s going on. We are using httpErrors with an errorMode="Custom" and existingResponse="Replace". 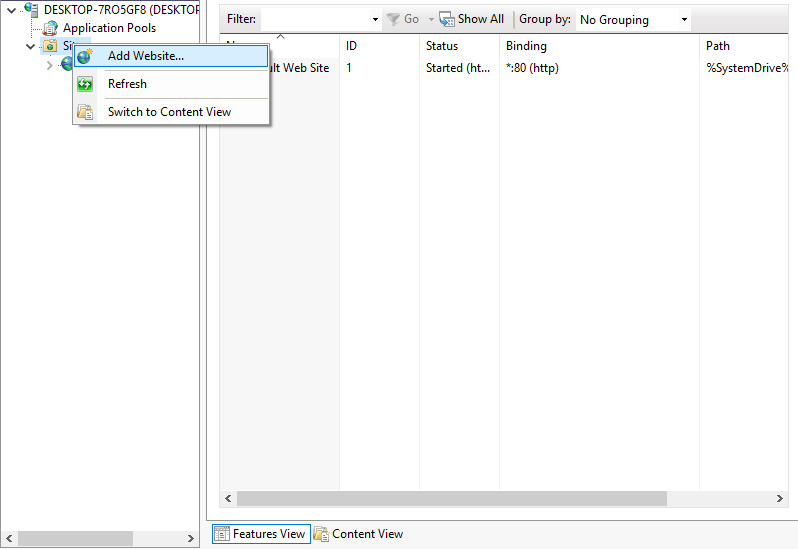 This instructs IIS to replace the default error pages with the one we are about to specify. remove statusCode="404" will remove any custom settings for 404 pages if they already exist. error statusCode="404" responseMode="ExecuteURL" path="/index.html" will configure IIS to execute the /index.html url if there’s a 404 error. This will effectively serve your Angular application and won’t change the URL seen by the client. The process for the configuring an ASP.NET Core application in IIS is similar, although we need to select a different port. If you don’t have it you can find more information about it here and a direct link to download it here. This module takes care of starting and keeping an ASP.NET Core application running. Before we create the website in IIS we need the published version of the ASP.NET Core application. You can do that in the command line with dotnet publish or, in full Visual Studio, right click on the project and select Publish, then click publish to folder. Create a new Website and point it to the ASP.NET Core project published folder, give it a different port number (for example 8080) and create an Application Pool for it. 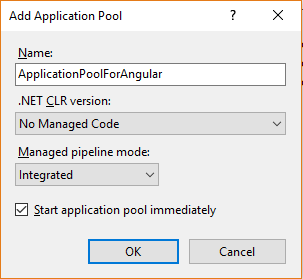 An application pool for an ASP.NET Core application is also unmanaged (No Managed Code). Although this might seem odd, it’s because IIS is actually just acting as a reverse proxy. If you look at the Config Error section you’ll see “Cannot read configuration file due to insufficient permissions”, which pretty much says it all. Go to the published folder and add the application pool user to the list of users with permissions over that folder. That’s because even though both our our Angular and ASP.NET Core applications are on the same domain, they are in different ports, and that’s enough to qualify the request as a Cross Origin Resource Sharing (CORS) request in all browsers except IE. You should be good to go. Your Angular and ASP.NET Core should both be working now. Both Angular and ASP.NET Core applications provide ways to detect if they are running in development or production mode. That can be leveraged to create a setup that works both in Linux, Windows or Mac. The easiest way to run an Angular application is to use run ng serve. That spins up a webpack development server that serves the Angular application on port 4200 by default. This also has the advantage of having hot module replacing, which means you can see your changes to the Angular application as soon as you make then without even having to refresh the browser. So ideally we want to run the Angular application this way. For the ASP.NET Core application we want to run it without having to publish it which you would have to if it is being served by IIS. This is the ideal development scenario, ng serve for Angular and dotnet run or running the ASP.NET Core from Visual Studio without having to publish it. In this ideal scenario when developing we could have the Angular application running on port 4200 (through ng serve) and the ASP.NET Core application running on port 5000. When in production the Angular application would typically be served from port 80 and the ASP.NET Core application for port 8080 for example (or from a different server on port 80). That takes care of the ASP.NET Core application. For Angular we need to leverage the environemnt.ts and environemnt.prod.ts files. You can find then under a folder name environemnts under the src folder on an Angular project. What you put on environment.ts will be available when you run in development mode (the default) and the values in environment.prod.ts will be used when in production. To compile the Angular project with the environment set to production use the --env=prod flag (e.g. ng build --env=prod). This approach would work even if you host on Nginx or IIS so probably the best option if you need/want to support having developers using different platforms of if you just want to compare performance between them. There are a few resources that you can find that teach how to secure an ASP.NET Core web application. I’ve written a few, for example ASP.NET Core Identity From Scratch, External Login Providers in ASP.NET Core and Facebook Authentiation with ASP.NET Core. For web apis using ASP.NET Core it’s a little bit harder to find information. That’s what this blog post is about. In this blog post I’ll explain how you can use Json Web Tokens (JWT) to secure a Web Api in ASP.NET Core. There’s a demo project in github that you can use to follow along. The normal flow is: the user clicks login, goes to a login page and after entering valid credentials the response that is sent to the user’s browser contains a Set-Cookie header that contains encrypted information. Every time a cookie is set for a domain, e.g. blinkingcaret.com, on every subsequent request for that domain the browser will include the cookie automatically. On the server that cookie is decrypted and its contents are used to create the user’s identity. This process works very well if the client is a browser, it’s a different story when we the client is a mobile app. What we can use instead of a cookie is a token. A token also represents the user, but when we use it we don’t rely on the browser’s built-in mechanism to deal with cookies. We have to explicitly ask for a token, store it ourselves somewhere, and then manually send it with every request. There are some ways to make this as painless as possible and I’ll discuss some of them later in this the post. The token format I’ll be talking about here is JWT. JWT stands for Json Web Token. A JWT token has the following format: base64-encoded-header.base64-encoded-payload.signature. Finally the signature is created by taking: “base64(header).base64(payload)” and cryptographically signing it using the algorithm specified in the header. For example HMAC-SHA256. The signing part involves using a secret that is only known at the server. It is important to be aware that the information contained in the JWT is not encrypted. To get the payload you just need to base64-decode it. You can even do that from your developer tools console (for example in chrome). Use the atob method and pass the payload as an argument. You’ll see that you’ll get JSON back. The signature guarantees that if someone tries to replace the payload, the token becomes invalid. For someone to be successful in replacing the payload and producing a valid token they would need to know the secret used in the signature, and that secret never goes to the client. This is something to have in mind when you decide what to put in the payload. To use JWT in ASP.NET Core we need to know how to manually create JWT tokens, how to validate them and how to create an endpoint so that the client app can request them. I’ve used both ClaimTypes (from System.Security.Claims) and JwtRegisteredClaimNames (from System.IdentityModel.Tokens.Jwt) to highlight that JwtRegisteredClaimNames contains the claims that are listed in the JWT RFC. You should use those as much as possible if you are planning to use the produced tokens with different frameworks for compatibility reasons. However, there are some claim types that enable certain functionalities in ASP.NET. For example ClaimTypes.Name is the default claim type for the user’s name (User.Identity.Name). Another example is ClaimTypes.Role that will be checked if you use the Roles property in an Authorize attribute (e.g. [Authorize(Roles="Administrator")]). There are a few concepts here that I didn’t mention before, namely the issuer, audience and expiration dates. The issuer represents the entity that generates the tokens, in this case it will be the ASP.NET Core web application. The audience is who the tokens are intended to, i.e. the client application. This issuer and the audience are important if your are relying on a third party to create the tokens (not the case here). You can validate both the issuer and the audience when you validate the token. The notBefore and expires define after what point in time the token can be used and until when it is valid, respectively. Finally in the signingCredentials you specify which security key and what algorithm to use to create the signature. In the example we used HMAC-SHA256. Note that the Exp (expires) and Nbf (notBefore) claims’ value is a string with Unix time. The easiest way to convert a DateTime to that format is using DateTimeOffset. Where in IsValidUserAndPasswordCombination you can use, for example ASP.NET Identity to validate the user’s credentials (if you need a resource for how to setup ASP.NET Identity check ASP.NET Identity Core From Scratch). GenerateToken is the process we just described in the previous section. Now that we have a way to issue tokens we need a way to validate them. We’ll be using ASP.NET Core’s authentication middleware and configure it to accept JWT tokens. Add the Microsoft.AspNetCore.Authentication.JwtBearer NuGet package to your project. If you are not familiar with ASP.NET Core’s authentication middleware I recommend reading External Login Providers in ASP.NET Core. Even though it’s about enabling signing in through Google, Facebook, etc it provides a detailed explanation of how authentication middleware works. Also, be aware that this is the new ASP.NET Core 2.0 syntax where authentication is fully configured via the ConfigureServices method, however the concepts are the same. More importantly in this example is the TokenValidationParameters class. It’s the class you have to instantiate to configure how the token should be validated. The web api client can be a desktop app, mobile or even a browser. The example I’ll be describing is that of a web application that signs in, saves the token and then uses it to perform authenticated requests. You can find a working example here. If all goes well with the POST you get the JWT back and you can save it somewhere, usually in local storage in the case of a web application. On mobile it depends on the platform you are using but they all have facilities that allow you to save the token (e.g. Android’s SharedPreferences). There are similar mechanisms if you are using other frameworks, for example Angular has HttpInterceptors. One thing to be aware of is that if the client performs an action that requires the user to be authenticated and there’s no (valid) Authorization header in the request, the server will respond to that request with a response with status code 401. The response will also have a WWW-Authenticate:Bearer header. If you receive a response like this you can notify the user that authentication is required.